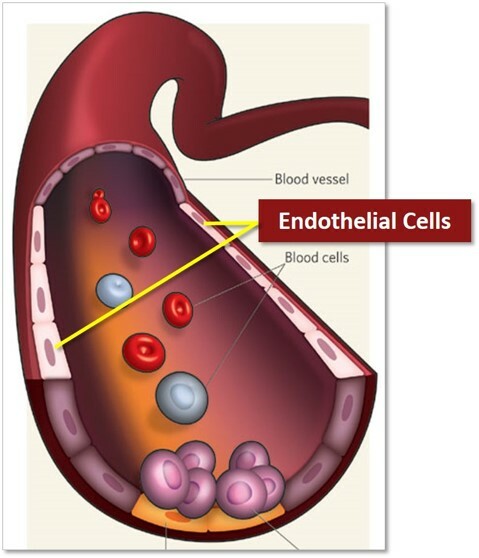 Endothelial Cells line blood vessels from the aorta to microvessels, and form a selective blood-tissue barrier. ECs are involved in angiogenesis, vasculogenesis, vasoregulation, coagulation & fibrinolysis, but also play roles in cardiovascular disease, metastasis & other disorders. These high purity, low passage cells undergo rigorous characterization & performance testing to show robust growth. For an ideal model of cell-cell interaction, our ECs can be co-cultured with species- and vascular bed- matched Smooth Muscle Cells. Pre-Screened ECs demonstrate stimulation-dependent angiogenesis & key signaling pathways.